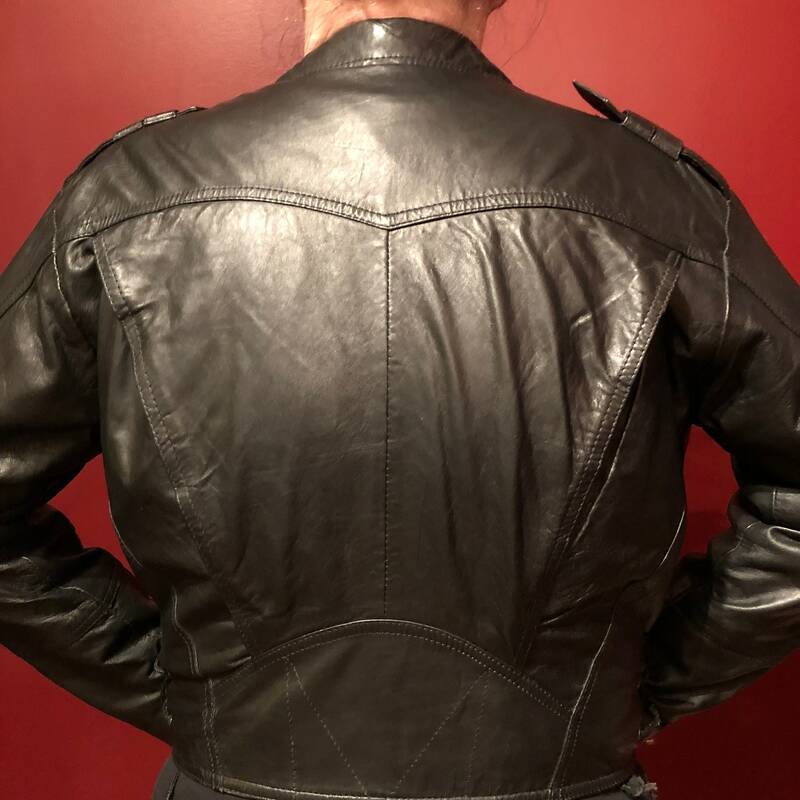 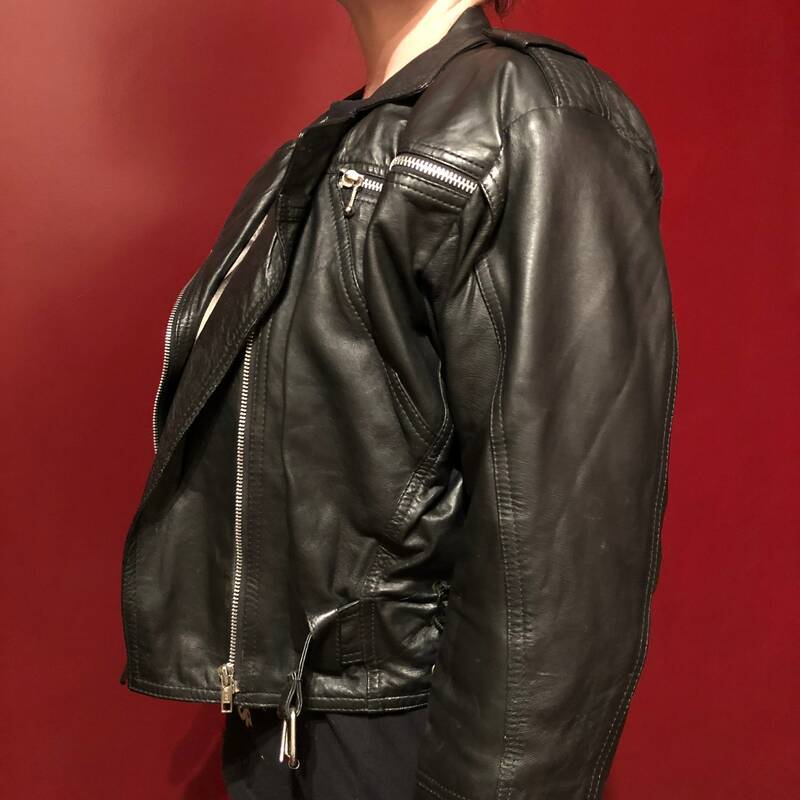 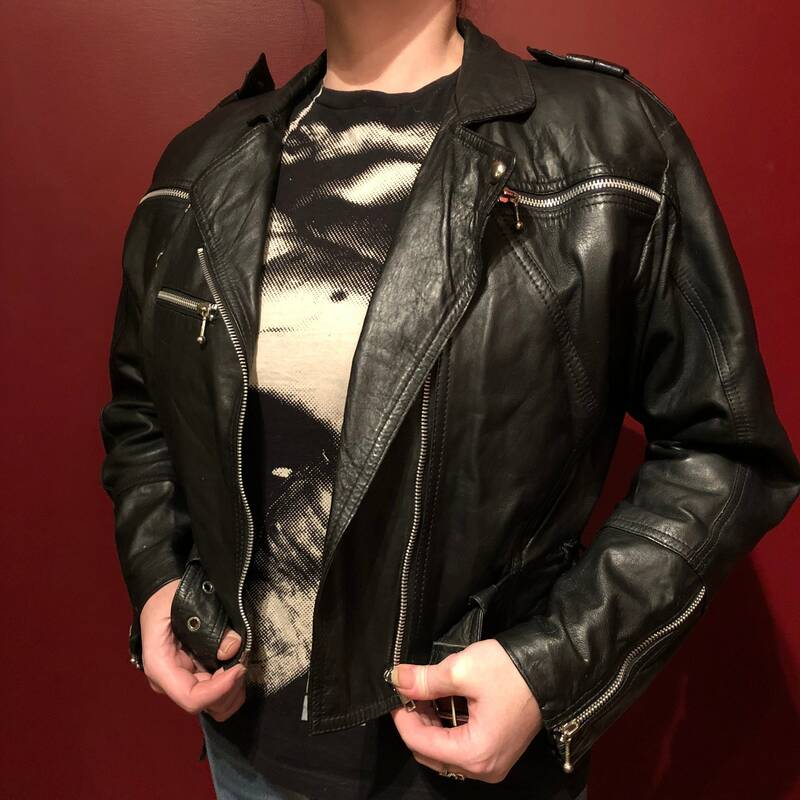 This jacket is perfect for your next punk show, metal fest, or just a relaxing ride on your Harley! 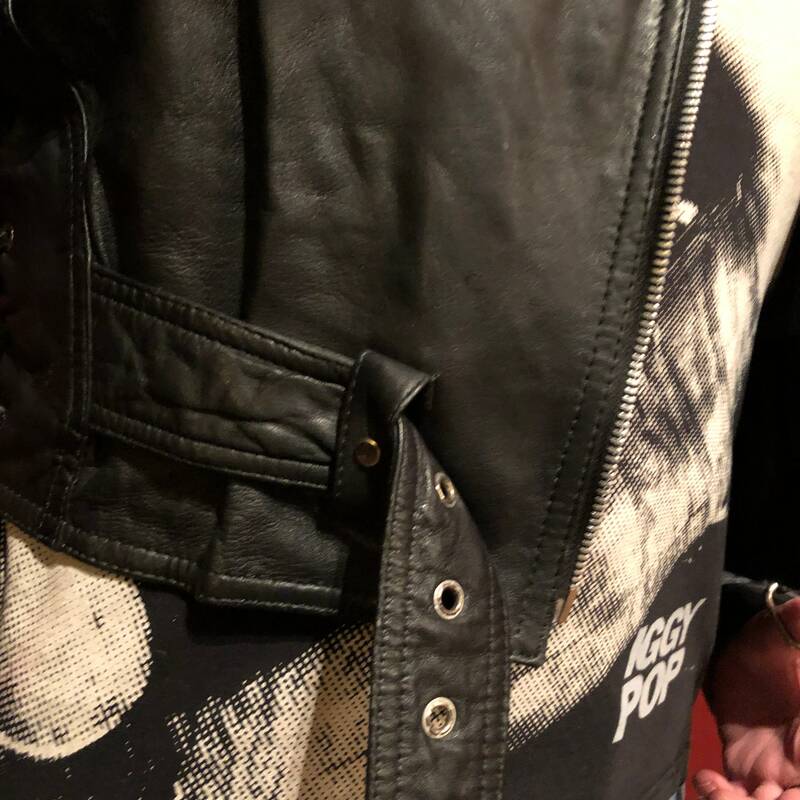 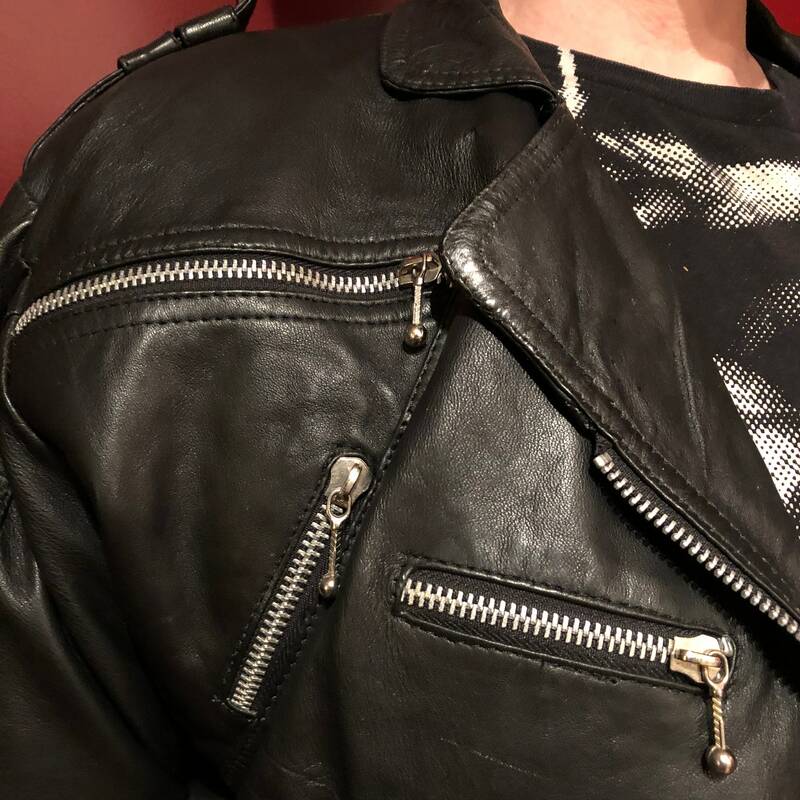 The only thing that would make this jacket any cooler would be some metal studs - which we will leave up to the buyer. 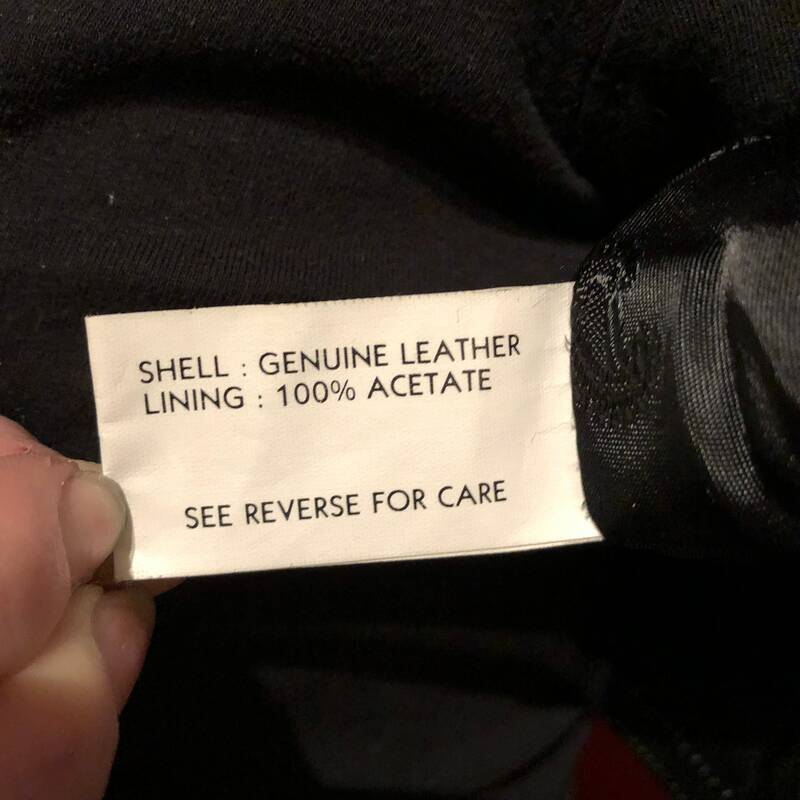 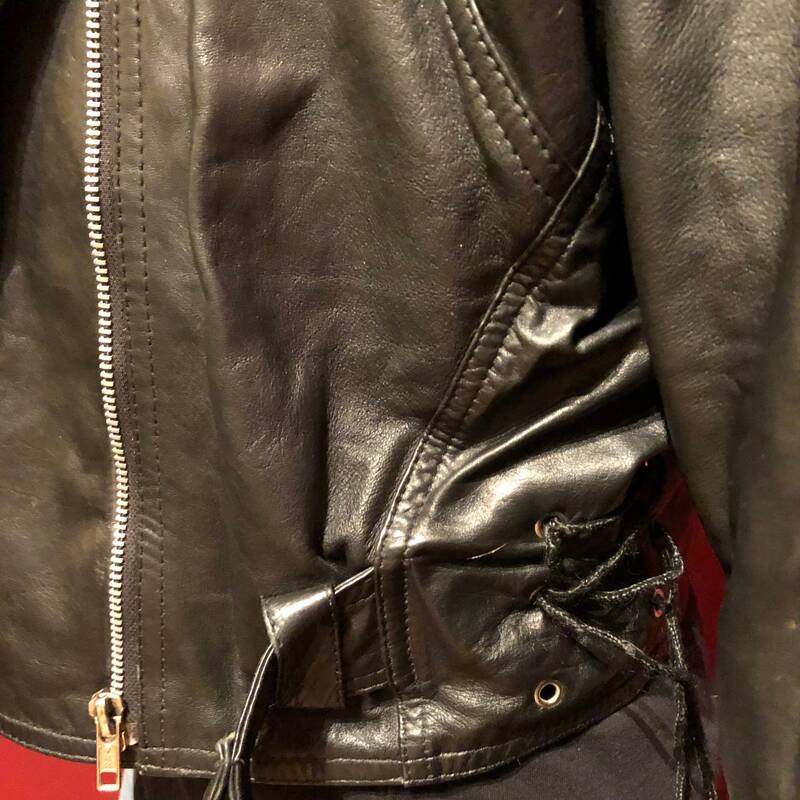 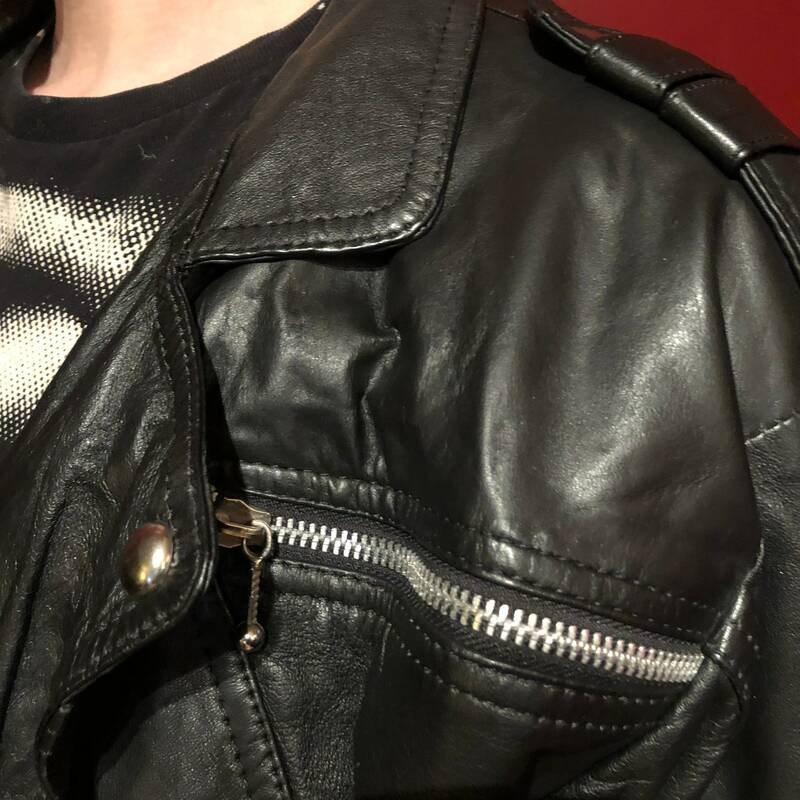 This leather jacket is free from any rips or tears. 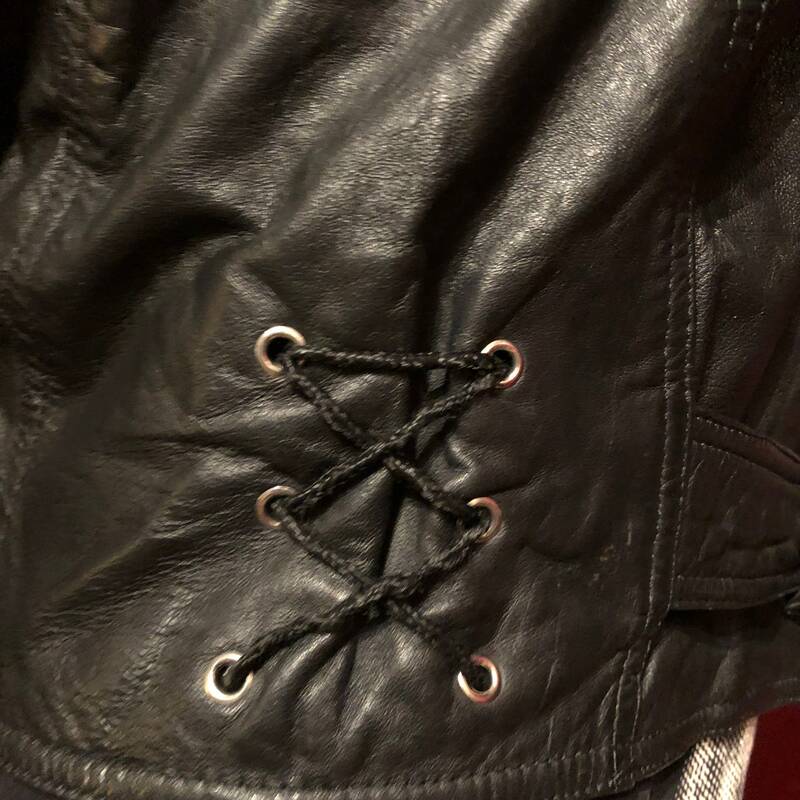 It has multiple zippers, and a waist belt.